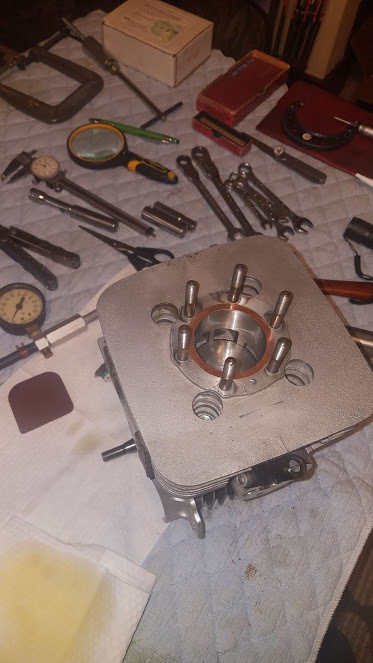 Got the crank and cylinder back. 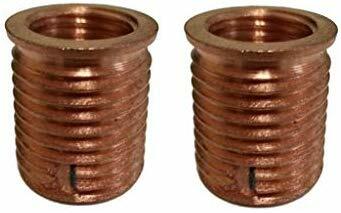 Cylinder hone to fit new 52.20 piston ($25). New rod bearing installed on trued-up crank ($40). Started rebuild. New seals installed. Used Threebond 1184 for the case. New .020" base gasket and cylinder installed. Ready for cylinder head. 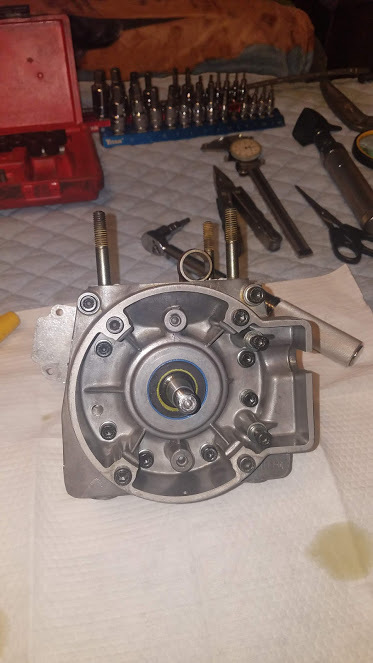 Carb cleaned and rebuilt. 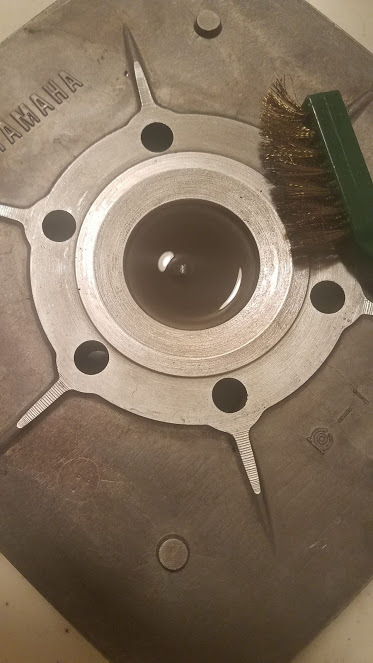 Pop-off set to 10psi @ .040" fulcrum height without gasket. I used my dial caliper as a depth gauge across a straight edge when setting the fulcrum height. Once the caliper contacted arm and released pop pressure, measurement was recorded. This worked great! Thanks for documenting this and sharing it. Was the rod checked for true and ovality? 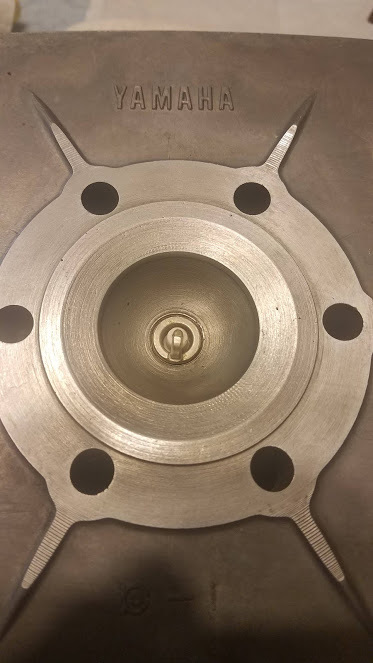 Combustion chamber cleaned up very nice, no pitting from detonation. 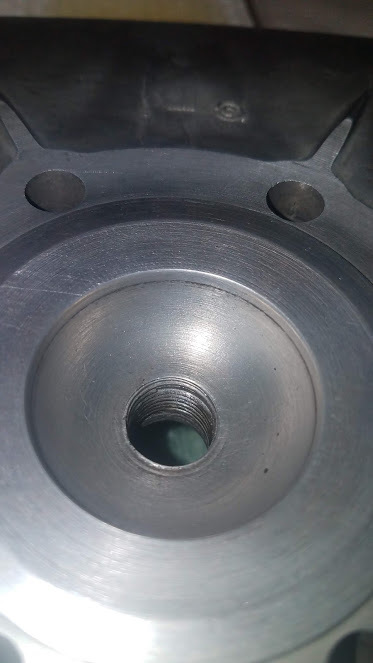 After cleaning chamber I found that the S/P hole was helicoiled. Interesting that the heli depth is only .435" of the available .680" of overall thread depth. I think heat transfer would suffer from this lessened thread engagement. 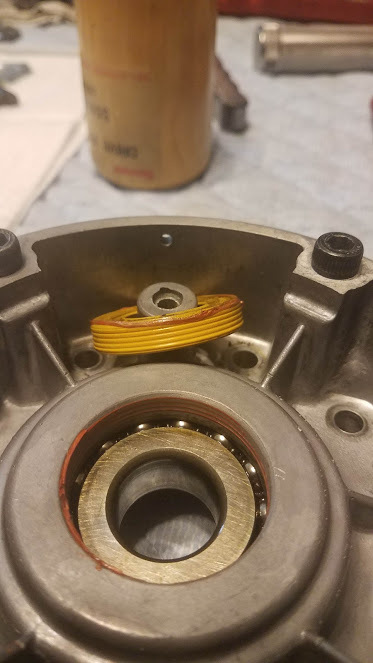 Also, looks like heli threads are getting old. Wonder if a second up-size heli is available? Something for doing a Heli a second time? Yes, rod was check. And crank was trued on centers. Also, after I complete the assemble I’ll have the same engine builder run break-in and dyno pull. 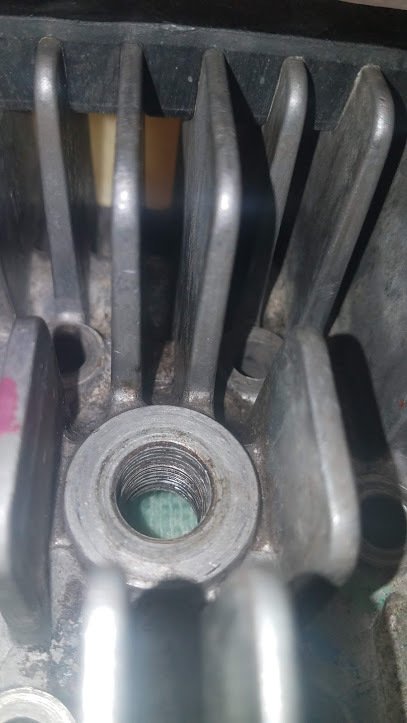 Thread repair inserts are out there. Great progress, I’m putting my backup KT100 together this week so going through much of this myself. Timeserts are a MUCH better solution than helicoil, I wouldn’t hesitate to use them. I installed timeserts in the aluminum wheel uprights on my GT3 where the radial mount calipers mount because it’s a know weak point that can strip out easily. They have been in there for 4 years now and are holding up great. Thanks and Andy. Check out this video link I posted. 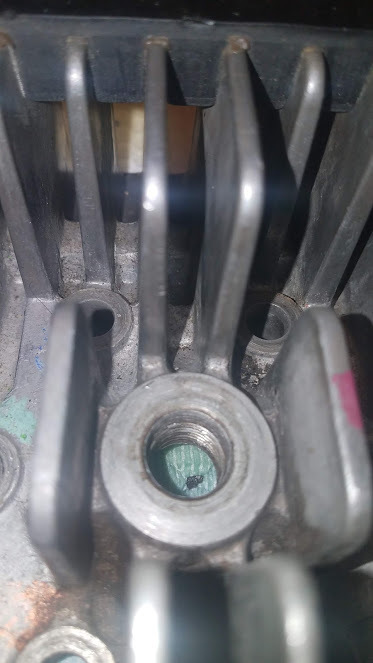 I may need to do a second repair of a helicoiled spark plug thread in a KT100 cylinder head. Good info. I’m going to call the engine builder today and get he’s thoughts on this today. I can do the machine work myself in a mill at work. Pretty straight forward job, plunge mill out the old heli, drill and tap M18 x 1.5. 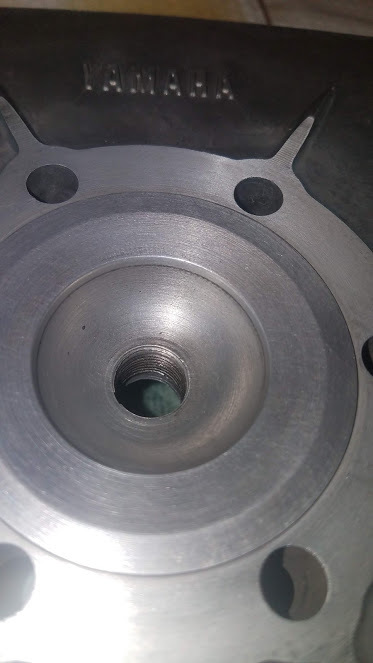 Spotface & countersink for washer surface of insert. Use 266 loctite, good to go. Only concern is if the installation tool is really needed for installing insert, if it’s tri-lobed to expand the bottom portion of the insert. 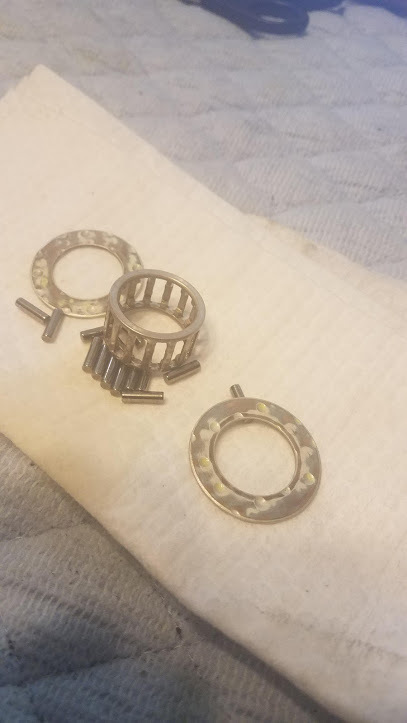 This is the old crank pin bearing and thrust washers. The old seals had grooves around the O.D. I like that idea with RTV. They also had the tension springs removed, probably to reduce drag. Everything looked good during disassembly. No red flags. A name drop to Scott at Two Cycle Technology for the crank, cylinder work and parts. I’ll report back with more, either dyno or head work (ordered Big-Sert inserts).